After the recent PINK event it seemed like a good time to step away for a few days. For many years we’ve featured stories on working women whose work, family and other obligations take priority over themselves. Too many of us are guilty of this. It’s an easy trap to fall into. We mean well. Finally, I’m learning, in the end, this really doesn’t serve anyone. So, I picked up my sea green Tumi carry-on and went. I found myself grateful that I took Southwest Airline’s connecting flight from Atlanta through Vegas to get to Tucson, as I watched the sunlit Colorado River snake through the Grand Canyon. Arriving at Canyon Ranch is just as magical. They used to call Canyon Ranch the spa you take home with you. It’s true. When I returned to Atlanta I bought watermelon, blueberries, and pineapple along with yogurt and fresh zucchini muffins. This morning I made green tea in lieu of coffee. I know this won’t last for long (I resorted to a cup of coffee before lunch!) but I do like the ritual of preparing healthy meals for myself. After decades years of preparing meals for the husband and children, it feels foreign and selfish to cook something beautiful just for one. but I try to step up and do it anyway. Once at Canyon Ranch I met a lot of women who could relate. Many said they’ve needed to get away for ages and finally they’re getting around to it; to caring for themselves. Says Vicky Pendell from Naples Florida, “My husband always says you’re the straw that stirs the family drink. He said ‘go!’” Former owner of a successful ad agency and now co-owner and CFO of ASC Lease Income, Vicky met up with longtime friends who live in different states including Julie Fasone Holder from Michigan who is on the board of a couple of public companies as well as serving on the board for the Committee of 200 which supports and promotes women business owners. It didn’t take long to see that Julie is comfortable being in charge as she raced ahead of our leader on the morning walk. We watched the sunrise over the Santa Catalina Mountains. Our guide, a working full-time judge, pointed to the 9,160 foot-high summit of Mount Lemmon. “Mrs. 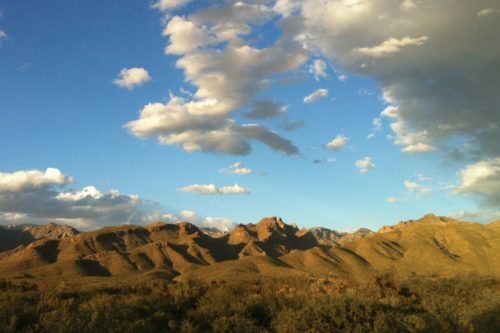 Lemmon was the first woman to hike that mountain back in 1881! That’s where I’ll be buried,” she said. Lots of woman-power here at the ranch and women do by far outnumber the men. Many still keep in touch with work and family despite the glorious surroundings and commitment to exercise, becoming mindful, rested and healthy. It’s hard to turn off the computer and phone despite No Cell zones in some areas. Many of the women I met volunteered that they felt a little guilty about taking the time away and doing something so special, and not inexpensive, for themselves. And they were celebrating it too! Vicky, said “Yeah. Women hold it all together.” We do it even through exhaustion and grief. I can relate having recently lost my 83-year-old mother and my 27-year marriage all in a matter of weeks. Here I felt like I could just be, without makeup or even washing my hair for the first few days. No one seemed to mind that or the fact that I was here on my own. Many others were too; a young woman who just left her first big tech job, another young woman and mother with three daughters who wanted to get back to being fit. I met two women who had been best friends since childhood and now live, work and have families in San Jose and South Dakota but still manage to keep in touch. Two other women my age who used to be roommates in college keep their friendship alive by traveling together annually. The fun, nurturing environment pushed us as we walked for miles, hiked area mountains, road bikes to the Farmer’s Market on Sunday, lifted weights, took yoga and Pilates classes, followed by healthy meals and a massage or a simple stroll through the immaculate grounds that look like you’re inside of a lovely desert terrarium. Then it was dinner at 6pm; salad bar, octopus appetizer and the mouthwatering steamed salmon. Of course, my favorite was the coffee ice-cream and triple ginger cookies. The next day, after taking the three mile 7am Walk, a Yoga class, then Cardio/Circuit, followed by a lecture on grief, I had the most delicious handmade pizza (pesto with veggies and mozzarella) at the Double U by the fireplace. Then I sat and read for a while by the pool under a stunning Eucalyptus tree, one of the tallest in the state, with branches the color of clouds. Too sleepy to stay up, I missed bingo at 8pm! But I did get to the 7pm Healing Power of Sound mediation with Tryshe Dhevney. Circled in light, Tryshe sings and amazingly, plays these large melodious crystal bowls. The soothing sound magically reverberates through the body. This is one session not to be missed. Finally, on the third morning, I realized that after so long (months), I woke up without feeling tired. I found the combination of being surrounded by such beauty, exercising, eating healthy and a giving in to little pampering – can result in a shift. 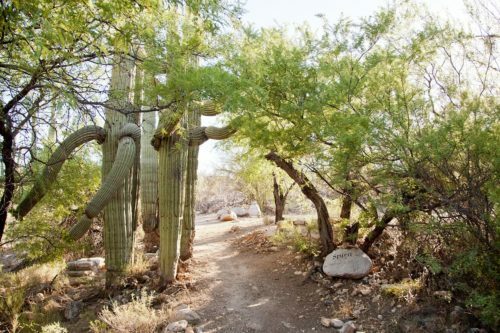 But I think what I like most about Canyon Ranch is the reverence; reverence for the trees and the cactus, the Catalina Mountains, for the body and spirit, and the way the staff treats guests – so the rudeness, ugliness and scarcity we live with everyday fades and you begin to have more reverence for yourself; for everything really. Cynthia Good, the CEO of PINK, aka LittlePinkBook.com, is in her final semester at NYU’s MFA Poetry in Paris program. 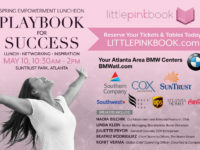 PINK is dedicated to producing world-class women’s empowerment events, advancing women through corporate partnerships and inspiring working women everywhere through free monthly digital newsletters, weekly online stories and daily social media. Any career brings stress. It’s a part of life. Prolonged periods of stress are harmful physically and emotionally and can adversely affect productivity. 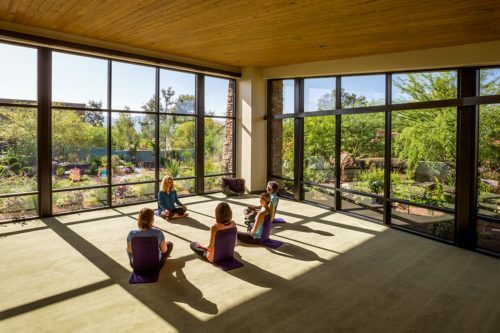 According to womenshealth.gov, “women may feel the symptoms of stress more or get more of the symptoms of stress than men.” Resorts such as Canyon Ranch offer a respite to help men and women cope with stress. The spa has locations in Tucson, AZ, Lenox, MA, Las Vegas, NV, Kaplankaya, Turkey and even on cruise ships where you can float away from the stress of work and life. Mel and Enid Zuckerman founded Canyon Ranch in 1979 after experiencing the benefits of health resort spas. 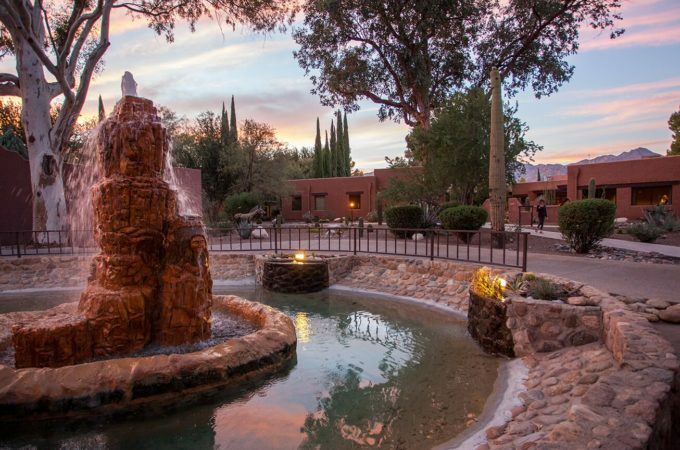 Canyon Ranch offers a spectrum of treatments from massages, oxygen facials, anti-aging vitamin body treatments and total body hydration to personal fitness training, aquatic fitness activities and maternal fitness options for expecting mothers. The resort offers different dining options to promote a healthy lifestyle and healing. The amenities were developed by well-traveled directors and health and wellness experts.